1. First you should ensure your ESXi server has SSH enabled. 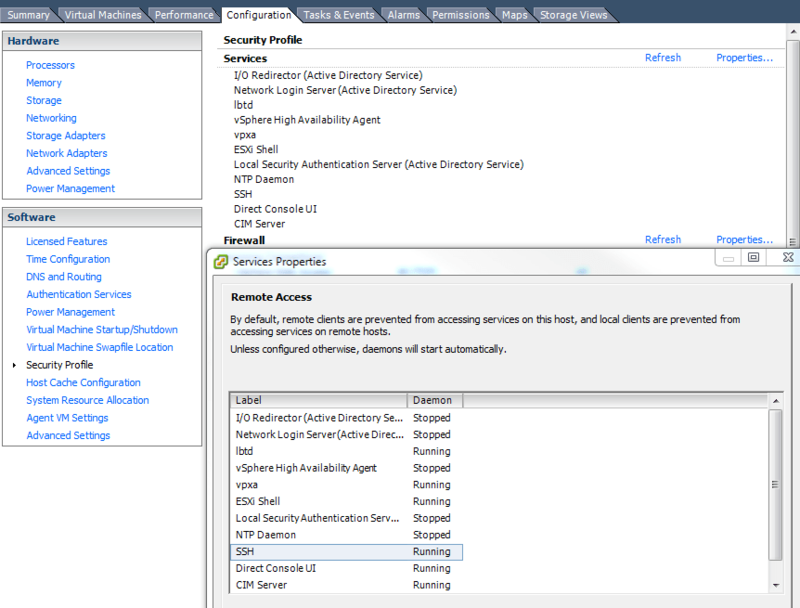 On vSphere client open the server configuration tab, under Software select Security Profile. 5. Entering ALT-F1 will put you onto the console screen prompting you for the username and password. 6. Follow the same instructions listed above to kill your VMware guest.